For families and groups up to 10, this chic and modern (yet warm and inviting) 3-bedroom + den, 4-bathroom luxury home has it all — including a private hot tub and an elevator! It’s nestled in the woods just a short drive from the slopes and downtown Breckenridge. From the minute you pull in the driveway, you’ll be struck by this home’s sleek, contemporary look. Step in the door and you’ll be equally impressed! Take the elevator from the garage up to the third floor, where you'll enter the fabulous kitchen. The living area is stunning. With high ceilings and light pouring in through large picture windows, it’s bright, open and airy. And just look at the floor-to-ceiling stainless steel entertainment wall with a gas fireplace, LCD TV, DVD/DVR and stereo system. This kind of luxury and style needs a kitchen to match, and the Dreamscape’s kitchen doesn’t disappoint: Granite counters, including a huge center island. Dakor six-burner gas range. Oversized Sub-Zero refrigerator. (You get the idea … first class all the way.) The beautiful dining table seats 10, and there’s room for four at the counter. Just off the living area, the fabulous deck boasts your very own hot tub, infrared gas grill, seating and an outdoor heater. The house’s three-level layout makes it easy for everyone to spread out. There’s also a two-car garage (plus extra parking in the driveway), a laundry room with a full-sized washer and dryer, and of course, complementary Wi-Fi throughout the home. There are plenty of beautiful homes in Breckenridge, but Dreamscape Breckenridge stands out among them as an elegant, up-to-date setting for a truly memorable mountain getaway. Call us today to learn more about this fantastic mountain home! Bedroom 1: queen bed, bunk bed (two twins), private bathroom with walk-in tile shower, LCD TV, DVR..
Master suite: king bed, large bathroom with soaking tub and walk-in steam shower, gas fireplace, LCD TV, DVR, walkout to private patio. Bedroom 3: queen bed, private bathroom with walk-in tile shower, LCD TV, DVR. A four-wheel drive vehicle is required during winter. This was a nice home that worked great for our group of 5. We were impressed by how clean it was and how well stocked for cooking and dining it was. The rental company was also great to work with. Very friendly staff. We thought the location was great. Far enough out of town to feel private but close enough to be convenient to restaurants and shops. Overall a nice stay. This how was amazing! Very updated and sleek and very clean! There was plenty of space for 4 adults and 3 kids under 6. I loved the split floor plan so we never had to "be quiet" while staying with our friends. 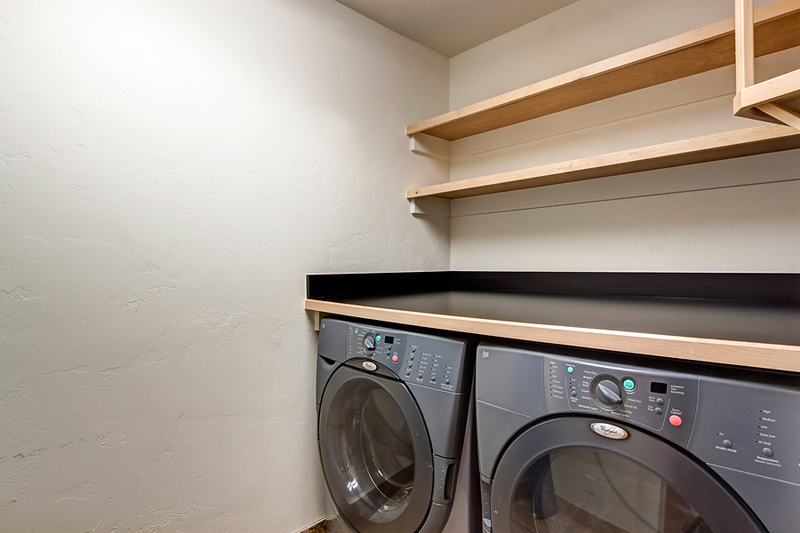 All amenities were provided and you are just a short drive into downtown Breckenridge. We would definitely stay here again and recommend to anyone! We had an incredible stay at Dreamscape! It has everything you need and nothing you don't. We didn't want to leave the house!! We cooked every day, used the hot tub frequently, and just enjoyed beautiful Breck. I don't think anything could've topped our trip. Summit Mountain Rentals was professional and friendly. We We'll definitely be back! Thank you very much for your feedback Julie! We look forward to hosting you again in the future. Beautiful, well appointed home with every amenity! Hi Ron, Thank you for the feedback! We look forward to hosting you in the future! What a gorgeous place to stay with attention to every detail. The modern architecture sets Dreamscape Breckenridge apart from the moment you see it and the property has everything you would need and more to create lasting memories of a wonderful mountain vacation. The house is extremely spacious and set up to entertain your family and friends. Plenty of room to relax after a long day doing all of the things Breckenridge has to offer for your family. Can't say enough about this property and will certainly be back with my family to enjoy it again. If you want to head to the beautiful Colorado mountains, but don't want the resort hotel experience, then this is the place for you. This house has breathtaking views and the perfect place to relax in the crisp mountain air. The third story balcony hot tub gives you the chance to rehab those muscles after a long day on the slopes or hiking the terrain without having 10 strangers in there with you. This house has a modern feel yet surrounded by cabin style homes and lush evergreens. It is located just a couple of miles from downtown Breckenridge and just a hop across the highway from the ski slopes. I don't think we will ever stay in another resort or condo after our experience here. We loved every minute of our stay and you will too. Dreamscape Breckenridge is a beautiful and spacious modern style home. It exceeded our expectations. The location is very peaceful and relaxing. It is also close to restaurants and shopping. The furnishings and decorating are very nice and give a contemporary elegant yet comfortable feel. The kitchen is well equipped with quality appliances, dinnerware, etc. 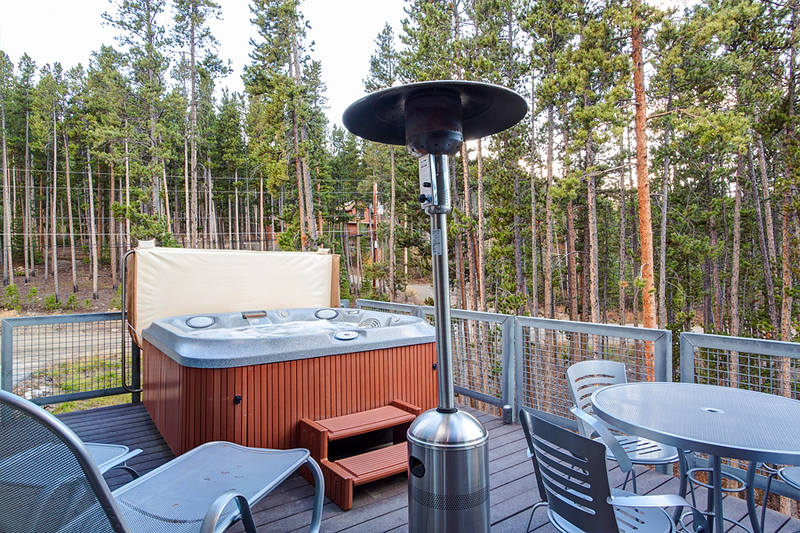 The outdoor deck and hot tub area is a great place to relax and enjoy the view of the surrounding trees and mountain. The elevator is an excellent amenity since the home has 3 levels. We would definitely recommend this property. Thank you Barbara--this home is spectacular in every way and we hope you will return again soon.